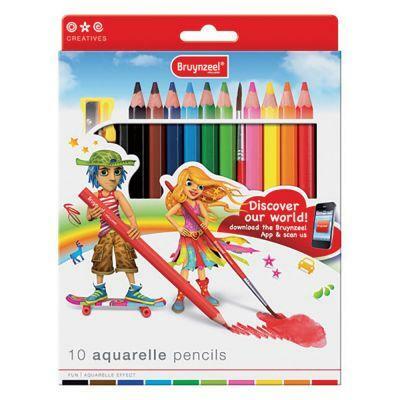 This pack of 10 Aquarelle Pencils is made to Bruynzeels high standards and contains a selection of vibrant colours. These pencils can be used wet or dry, and with the application of water they can be used to create a lovely watercolour effect. Apply the same way as a normal coloured pencils and transform using a brush dipped in water. Us thick, heavyweight paper for the best results. Have fun colouring!